A fun way to preserve and enjoy the last of the bell pepper plants when the fruit is small but won’t have time to grow. Or you just have too many and want to preserve the bounty. See what I’m up against? 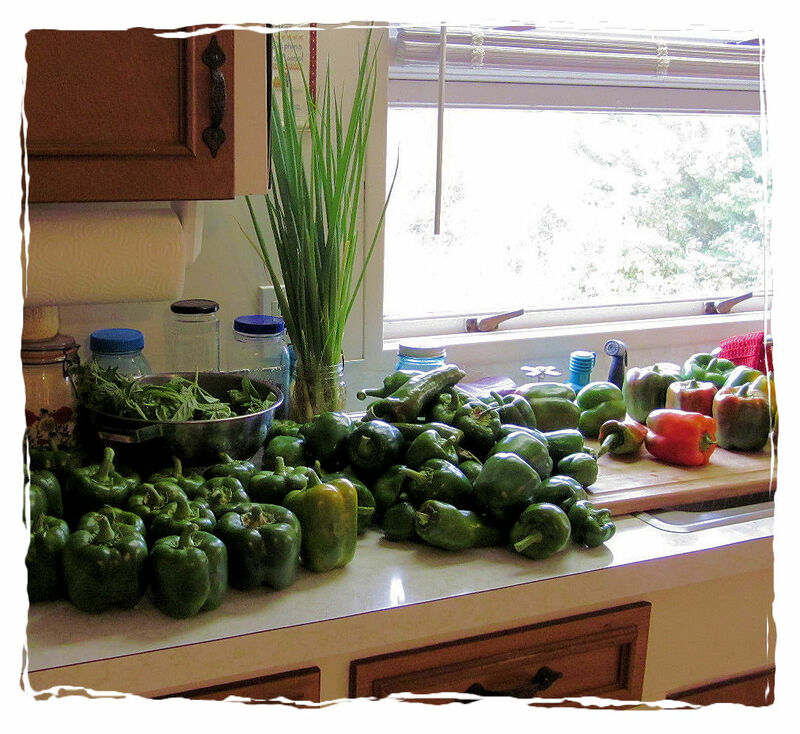 This is a typical bounty from my garden in a good year!